All hail the King of the Seven Seas! 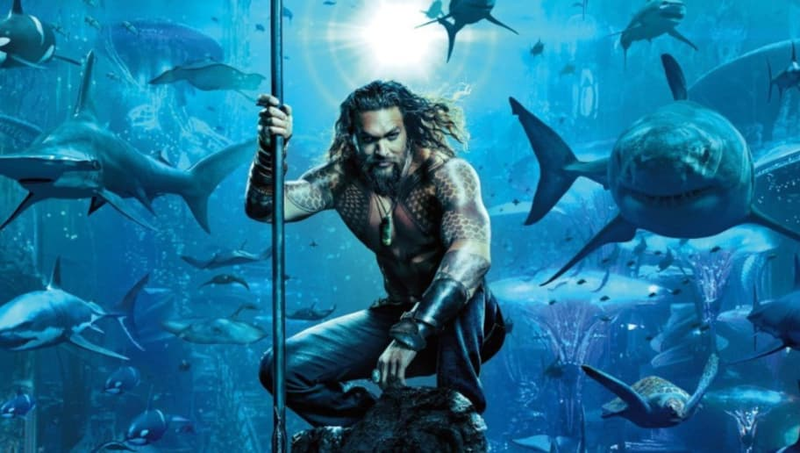 The anticipation and fanfare for Aquaman was highly evident before its release, but perhaps no one knew the movie would be as successful as it has become. It was big news when the movie surpassed Justice League last week at the worldwide box office, but just a week later, the movie has achieved a new amazing feat. Aquaman is now the highest-grossing movie in DCEU history. BOX OFFICE: #Aquaman is OFFICIALLY the Highest Grossing film in the DCEU & will also reach $900 Million today! The film will cross One BILLION Dollars by next weekend! As comic book film fans, we should be very excited. CBM are the King of the box office! The movie has grossed over $940 million worldwide, surpassing the previous record of $874.6 million held by Batman v Superman: Dawn of Justice. Longtime DC fans are happy with Aquaman's success, after many critics were prepared to declare the relatively young DCEU a failure. Jason Momoa, who plays the leading role in the film, now has bragging rights over some of his fellow DCEU heroes. The 39-year-old actor has taken note of the movie's massive success, and shouted out fans for making it the "number one movie in the world" on social media. Aquaman, which is poised to cross the billion dollar threshold at the box office, currently has a 7.5/10 on IMDb, with many critics praising the movie for its incredible cinematography.